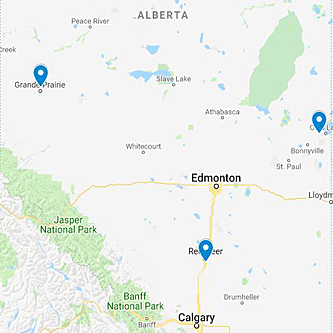 As one of Western Canada’s largest industrial maintenance service providers, Dalco has been involved in asbestos abatement and lead abatement services since the late 1980’s. Dalco has led the industry in the development of safe, innovative, cost-effective asbestos abatement and lead abatement capabilities for Encapsulation, Demolition, Hazardous Material Control, and Environmental Monitoring. Our highly trained and experienced staff performs all necessary pre-abatement activities including the preparation of the work area and air monitoring. In fact, approximately 30% of our total workforce is trained and or certified in lead or asbestos abatement. Dalco has quality assurance measures in place to ensure plans and procedures for the abatement are properly implemented. Dalco is a turn-key solution asbestos abatement contractor which includes having certified consultants. An asbestos consultant is certified to perform accredited testing for asbestos. They are also equipped to make recommendations for the safe removal or containment of asbestos containing material and can monitor and certify the success of the work. Asbestos removal is typically required before any maintenance or renovation that could disturb asbestos containing materials or when asbestos containing materials are damaged. As your removal contractor, Dalco will assess what is required for removal, perform the removal work and dispose of the hazardous material. There are stringent requirements set by federal, state, and local authorities regarding the methods for asbestos handling, removal, and disposal. The asbestos removal regulations vary state-by-state so it is important to ensure that the hired removal professional is fully in compliance with all state laws and regulations. Dalco has these professionals ready to work with you. Dalco has a line of lead abatement processes which help address many of the complex challenges involved with the abatement process. From chemical stripping, power tool removal or abrasive blasting, we have everything you need. When needed, dust free encapsulation structures are built to insure that surrounding work environments are protected from exposure. Dalco takes care of all of these details for you when you hire us.